It's Vegan MoFo Day 11 and it's going good. 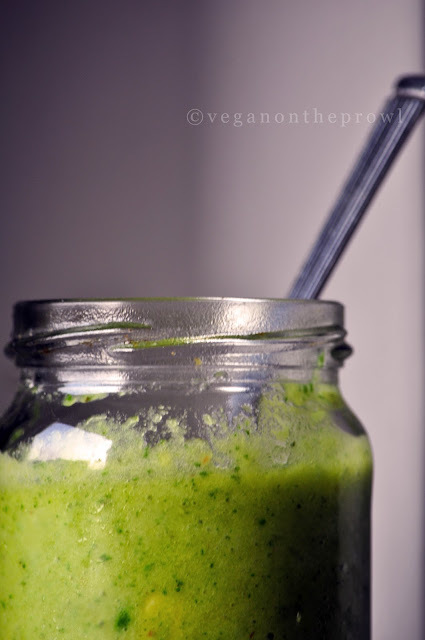 People from all over the world are blogging about vegan food and I'm learning something new every single day. I learn about new ingredients and cuisines and this is making my mind go into over drive because suddenly I realize there are so many places I want to travel to and eat the local food there. Growing up whenever we went to a restaurant we always ordered the cheese on skewers. They always came on toothpicks with a piece of pineapple and cherry with each skewer. I never really understood the combination but I liked it. This chutney is something like that. I know pineapple and mint is a good combination, it sounds right. But adding spice to that might sound wrong, but it's not. 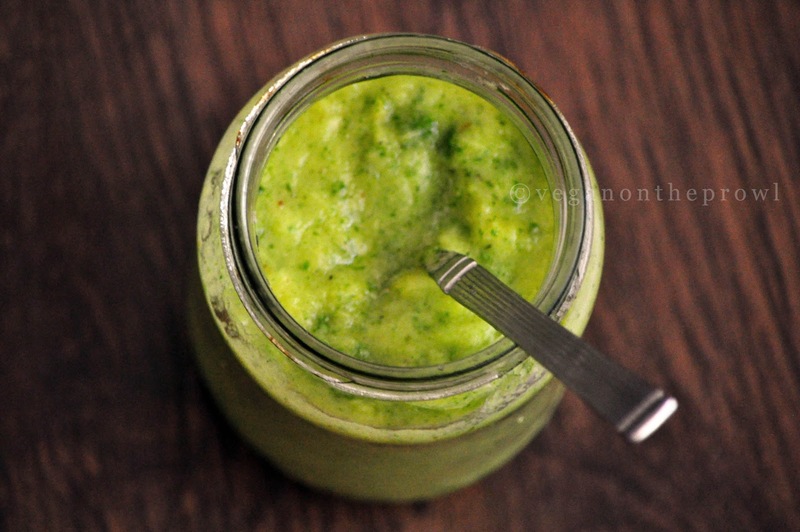 This chutney is a great dip (for chips), goes well with Indian food too, I can imagine it inside a pita bread with some hummus and falafel and I can also imagine using it as a salad dressing or inside a nice hearty sandwich. Let me interrupt you with today's find before I forget: Simply Go Vegan. It's blog in German and as the title suggest the recipes are simple but they look so good. The recipes for the German Potato bread and Merguez, a spicy north african sausage are things to look out for. On that spicy note here is the recipe for the chutney. Blend together and chill before serving. 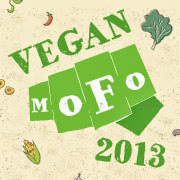 Vegan Mofo 2012 is here!